GAME Australia's staff might be jobless within weeks. As retail network GAME deals with the financial monkey on its back, the fiasco is finally drawing to a close for its Australian branch. The struggling chain has been unable to attract any potential buyers to help it from its current state, which has seen a reduction in gift card values and a failure to fulfil customer pre-orders (resulting in intervention from Blizzard to satisfy unhappy Diablo III fans). Administrator PriceWaterhouseCoopers has subsequently announced the closure of 16 stores, with 31 others to follow in the coming weeks. Existing stores will trade on an "as close to business as usual" basis in the meantime. Kate Warwick, administrator at PwC, says the move was in the interest of creditors. "Despite exploring available opportunities for continued trading," she explained, "the ongoing trading performance and absence of viable offers for the purchase of the business has resulted in these closures." 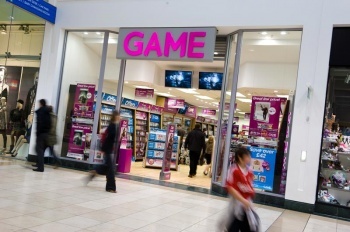 In a bid to recover as much capital as they can, GAME stock in Australia has now gone on sale, with online and retail products reduced by up to 60%. Aussie gamers looking for a deal should know that discounts only apply to selected stock; prepaid cards, previously discounted items, and game hardware are all excluded. Discounted games are cause for excitement, but several stores' worth of employees soon to be left jobless is a sobering thought. "This is a difficult time for employees and closing the stores was not a decision we made easily," Warwick said. "PwC has been in touch with the Federal Government Department that deals with General Employee Entitlements and Redundancy Scheme (GEERS) and will assist the employees with their applications." More details are expected as creditor meetings continue.